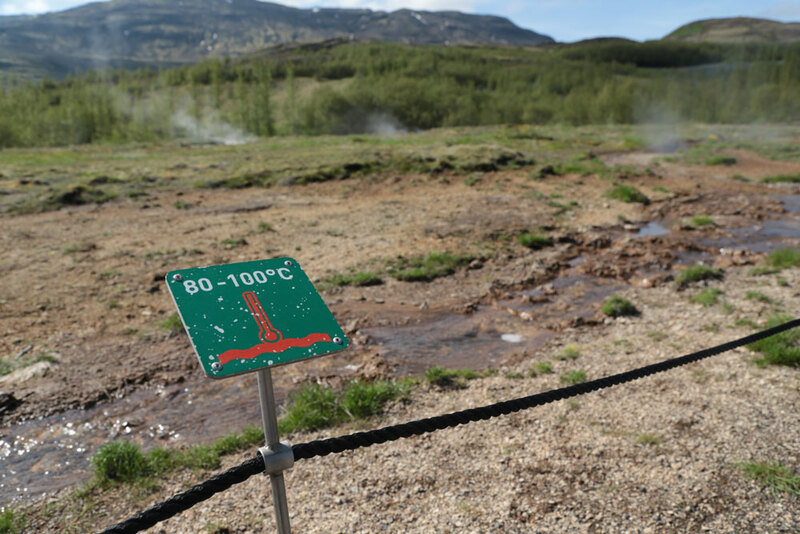 Geysir is the original exploding hot spring: the one all the other geysers are named after. 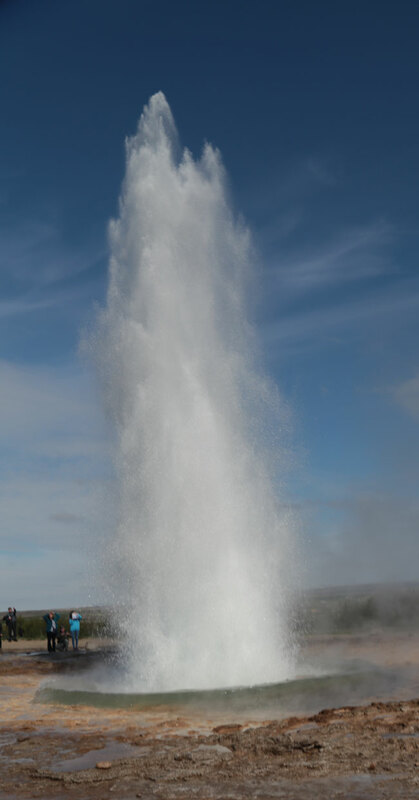 Technically it refers to Great Geysir which goes off infrequently, if at all. However, there is a smaller, and still very impressive one (pictured above) that reliably goes off every four minutes or so. The hot springs around it really are hot. The hottest parts are behind a fence, but even sticking my finger in the run off is not something I would want to do for long. In the video below, you can see the steam coming off the water. If you’re visiting, do not miss the excellent range of ice creams in the visitor’s centre. It isn’t more magical than seeing the eruption, but it is very tasty. This entry was posted on Friday, July 1st, 2016 at 1:23 pm and is filed under Travel. You can follow any responses to this entry through the RSS 2.0 feed. Both comments and pings are currently closed.